Ashlee and Evan on Etalk! Evan Ross is officially 30! In fact, August 26 marked the Star actor’s milestone birthday. And, from what we’ve heard, Diana Ross’ son already has big plans for his 30th year. “I’m hoping for an amazing year,” Evan told E! News exclusively on turning the big 3-0. Nevertheless, the industry vet is proud of everything he and wife Ashlee Simpson-Ross have recently accomplished. And when he said “a lot,” he meant a lot. On top of filming and producing their new E! docu-series ASHLEE+EVAN, the love birds have been collaborating together while exploring their own individual projects. Despite being swamped with their ever-evolving careers, Evan teased that he was “planning on doing something fun and kind of big” for his major name day. Ironically, his partner in life and love had nothing to do with Evan’s birthday plans. Still Ashlee and Evan couldn’t be more in-sync with each other, as they even admitted that they’re eager to expand their modern family. Per Jagger Snow’s parents, having another child is “definitely” in their plan, within the “next year” even! Yet the pair “have a lot going on right at this second,” so they’ll likely only be giving birth to musical works for the time being. Thankfully, fans will be given a close up look at their creative process on ASHLEE+EVAN. “We’ll be releasing a song per episode—or somewhat per episode—so people will be able to kind of live in our experience,” Evan added. Be sure to catch all the love and music when ASHLEE+EVAN premieres on Sept. 9! Hello again! 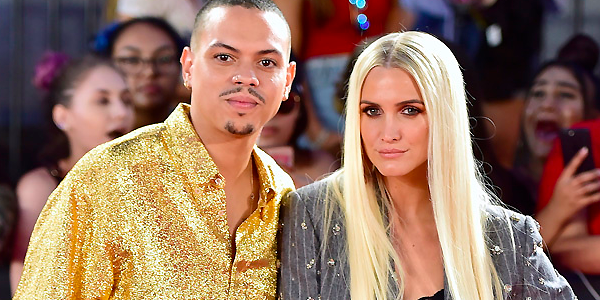 Today (August 16), Ashlee Simpson Ross and Evan Ross performed during a show organized by “iHeartRadio” in New York. They sang their new song “I Do“. Hello everyone! 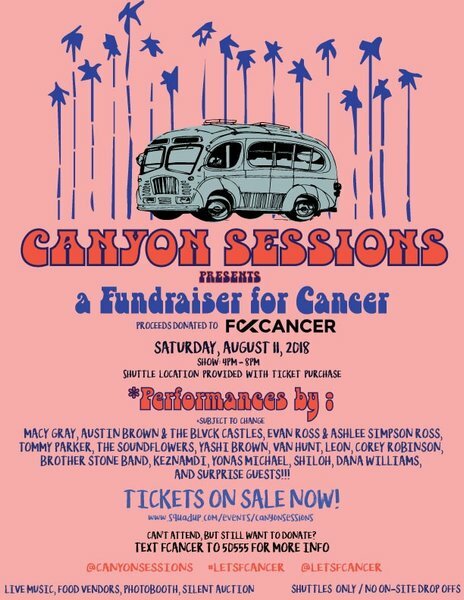 Yesterday (August 11), Ashlee Simpson Ross and Evan Ross performed at the Canynon Sessions to raise money to support a fundraiser for cancer. We have videos of their performance. They sang two songs from their upcoming album :”I Do” & “I Want You“. These songs are so good! I am so excited to listen to their joint album. Find their whole performance here (password: ashleesnaps3). New Performance for Ashlee and Evan! Hello everyone! 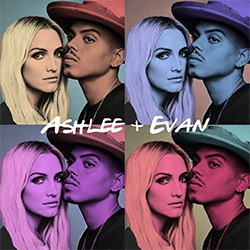 Ashlee Simpson Ross and Evan Ross will perform this Saturday (August 11) to support a fundraiser for cancer. If you want more informations and buy tickets : here. Hello everyone! On Monday (July 23), Ashlee Simpson Ross and Evan Ross were invited at the radio show “Rico and Mambo“. 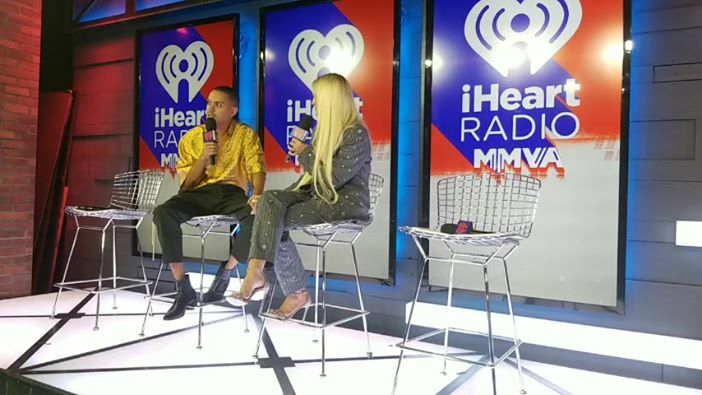 Here are the videos and pictures from the interview, enjoy! Hello everyone! Ashlee Simpson Ross is BACK! She posted this message on Instagram and Twitter saying that new music is coming soon. I can’t wait to discover all of her work with Evan. The pop-rock songstress and MTV star gave up celebrity in 2008. Now she has a whole new famous family, and they’re coming for the Kardashians’s time slot. Did you miss Ashlee Simpson? The occasionally brunette younger sister of the always-blonde Jessica Simpson has led a quiet, private life in Los Angeles for the last decade. So if you forgot about her stints in MTV reality television (“Newlyweds,” “The Ashlee Simpson Show”), or the three pop-rock albums that followed those shows (“Autobiography,” “I Am Me” and “Bittersweet World”), or her marriage to Pete Wentz (now you remember), consider it forgiven. This fall, she will release a new album, launch a clothing line and star in a reality show for E! — all at the same time. The synergistic approach worked for her before: “The Ashlee Simpson Show,” which cast her as the rebellious, dark horse sister of a pop princess, helped her first album go triple platinum in 2004. A lot has changed since then. When Ms. Simpson’s eponymous reality show premiered on MTV, only a few celebrities, like Paris Hilton and Anna Nicole Smith, had embraced the medium. Ms. Simpson’s father and then-manager, Joe Simpson, saw in television an opportunity for his daughters. He first engineered a new level of fame for Jessica beyond her singing career with the 2003 MTV reality show “Newlyweds: Nick and Jessica”; it focused on Jessica’s “dumb blonde” antics, Christian upbringing and young marriage to the 98 Degrees frontman Nick Lachey. For “The Ashlee Simpson Show,” Mr. Simpson, a former pastor, abandoned the Christian message and presented Ashlee as a success-driven teen determined to get out from under her sister’s shadow. Both shows were immediate hits and made the Simpsons household names. The family’s decision to pursue reality TV was born of a desire to broadcast their happiness, Ms. Simpson said on a recent Friday afternoon in a recording studio in Hollywood, sitting on a deep leather couch next to her husband. Both she and Mr. Ross were wearing slim, light-wash jeans and oversized white T-shirts, and the two were physically expressive with each other, taking turns praising each other’s talents in conversation. At one point, Mr. Ross sat on the arm of the couch above Ms. Simpson and rubbed her shoulders. They said they were happy and they did seem that way. But they had a problem. “I feel like people see pictures of us, but they don’t know us,” Ms. Simpson said. It’s an issue they hope reality TV will fix. O.K., but Can We Talk About Diana? The event was a true blending of famous families: The groom’s half sisters, Chudney Ross, Rhonda Ross and the Emmy-winning actress Tracee Ellis Ross, were bridesmaids, and Jessica Simpson was the matron of honor. Jessica’s husband, the former N.F.L. tight end Eric Johnson, was a groomsman, and the couple’s children, Max and Ace, filled the roles of flower girl and ring bearer. The bridesmaids reportedly all wore heels from the Jessica Simpson Collection (available at a Macy’s near you). Diana Ross not only hosted but officiated the couple’s ceremony and later, performed at the reception. Mr. Ross and Ms. Simpson grew up across the country from each other, where both dreamed of becoming famous someday. Ms. Simpson got her start playing a teenage babysitter on the Christian family drama “7th Heaven” before breaking out as a personality on “Newlyweds.” “The Ashlee Simpson Show” followed shortly thereafter, when Ms. Simpson was 19 years old. Mr. Ross, who is now 29, said he caught the bug even earlier. “I think I was always singing and dancing for somebody,” he said, in a light, melodic voice. “I can’t imagine you not!” Ms. Simpson said, laughing and clasping his hand. Ms. Simpson, in turn, was very familiar with Mr. Ross’s family. She recalled feeling nervous before meeting Diana Ross for the first time in 2013, after a concert Ms. Ross performed at the Hollywood Bowl. “I tried to wear something really cute,” she said. And she has brought Ms. Simpson into the family fold. Ms. Simpson’s father managed her early career, but she now shares a publicist with her husband and Ms. Ross. Tracee Ellis Ross is similarly supportive. “I talk to Tracee almost every day just about everything,” said Mr. Ross. The “Blackish” star helps the couple decide when “to say no to stuff,” he explained. “Tracee’s wise,” Ms. Simpson concurred. “My mom and dad are definitely on it,” Ms. Simpson said cheerfully. Ms. Simpson’s parents were heavily involved in her first show, which premiered on MTV on June 16, 2004. Her father was an executive producer, and her mother, Tina Simpson, made frequent appearances to teach her daughter the important lessons of adulthood, like how to use a mop. The show aired in the time slot directly following “Newlyweds,” and each sister regularly appeared on the other’s program. “Right,” said the producer, strumming an acoustic guitar and staring into the middle distance. “The Ashlee Simpson Show” also brought viewers behind the scenes of dramatic events in Ms. Simpson’s life, like the “Saturday Night Live” lip-syncing incident. In the fall of 2004, she appeared on the late-night show to perform two hits from her first album. She played the first song, “Pieces of Me,” without a hitch, but when she returned to the stage to perform the second, a backing track of her singing “Pieces of Me” rang out, while she held the mic by her side. Panicked, Ms. Simpson danced awkwardly for a few seconds (she later described it as a “hoedown”) and ran off the stage. NBC quickly cut to a commercial, but the damage was done: News outlets replayed the embarrassing moment for days. On the first episode of the second season of “The Ashlee Simpson Show,” however, the Simpsons reclaimed the narrative, before that was even really a term of art. MTV aired footage of Ms. Simpson preparing for the ill-fated performance. She admitted to lip-syncing and revealed that she nearly lost her voice the morning of the show after a bout of acid reflux. She consulted with a doctor on the set of “S.N.L.” who advised her not to sing live in order to avoid further damage to her vocal cords. “She needs a hug!” Mr. Ross said. “We wanted the show to look a certain way and have certain feels,” Ms. Simpson said. Sometimes, when reality TV stars become producers, their shows get boring. What public figure would choose to air their worst moments to an audience? But Ms. Simpson assured me “Ashlee & Evan” will have plenty of drama. “There’s drama,” she said, giggling. “The thing about us is, we are passionate, so we do argue,” Mr. Ross said. As an example, he said, sometimes he wants to stay late at the studio to work on music, and Ms. Simpson wants to go home to the kids. “She came up with that idea,” Mr. Ross said. He looked to his mom as an influence when they were writing songs, as well as to her friends “Michael” (that would be Jackson) and Luther Vandross. The Ross family connections also led Mr. Ross and Ms. Simpson to an unexpected collaborator on their album: Verdine White, the Grammy-winning bass player from Earth, Wind and Fire. Mr. White hopped in the studio one day to sit in on a recording session, and he liked the music so much, the couple said, that he asked to play on the entire record. “He is the best,” said Ms. Simpson, reverently. Mr. White will appear on “Ashlee & Evan,” the couple said. Ms. Simpson said that she is excited about taking a new musical direction. “Growing up I always loved soul and R&B and India Arie and Lauryn Hill and all that, and I think like you’ll feel vibes of that,” she said. But she still sounds like Ashlee. “I feel like my tone of my voice, you definitely know it’s me,” she giggled. “People don’t like it,” said Ms. Simpson.